In his posthumously published book, Camera Lucida, Roland Barthes, against his apparent interpreters, leaves us with a poignant reassertion of the realist position. The camera is an instrument of evidence. Beyond any encoding of the photograph, there is an existential connection between 'the necessarily real thing which has been placed before the lens' and the photographic image: 'every photograph is somehow co-natural with its referent'. What the photograph asserts is the overwhelming truth that 'the thing has been there': this was a reality which once existed, though it is 'a reality one can no longer touch'. THE IMPORTANT THING IS THAT THE PHOTOGRAPH POSSESSES AN EVIDENTIAL FORCE, AND THAT ITS TESTIMONY BEARS NOT ON THE OBJECT BUT ON TIME. FROM A PHENOMENOLOGICAL VIEWPOINT, IN THE PHOTOGRAPH, THE POWER OF AUTHENTICATION EXCEEDS THE POWER OF REPRESENTATION. [...] we have to see that every photograph is the result of specific and, in every sense, significant distortions which render its relation to any prior reality deeply problematic and raise the question of the determining level of the material apparatus and of the social practices within which photography takes place. The optically 'corrected' legal record of a building facade is no less a construction than the montage, and no less artificial than the expressively 'transformed' experimental photographs of Lois Ducos du Hauron or, in a different context, those of Bill Brandt. The legal record is, in much the same way though for different purposes, an image produced according to certain institutionalised formal rules and technical procedures which define legitimate manipulations and permissible distortions in such a way that, in certain contexts, more or less skilled and suitably trained and validated interpreters may draw inferences from them, on the basis of historically established conventions. It is only in this institutional framework that otherwise disputable meanings carry weight and can be enforced. The indexical nature of the photograph - the causative link between the pre-photographic referent and the sign - is therefore highly complex, irreversible, and can guarantee nothing at the level of meaning. What makes the link is a discriminatory technical, cultural and historical process in which particular optical and chemical devices are set to work to organise experience and desire and produce a new reality - the paper image which, through yet further processes, may become meaningful in all sorts of ways. The procedure is familiar enough. Reflected light is gathered by a static, monocular lens of particular construction, set at a particular distance from the objects in its field of view. The projected image of these objects is focused, cropped and distorted by the flat, rectangular plate of the camera which owes its structure not to the model of the eye, but to a particular theoretical conception of the problems of representing space in two dimensions. Upon this plane, the multicoloured play of light is then fixed as a granular, chemical discolouration on a translucent support which, by a comparable method, may be made to yield a positive paper print. How could all this be reduced to a phenomenological guarantee? At every stage, chance effects, purposeful interventions, choices and variations produce meaning, whatever skill is applied and whatever division of labour the process is subject to. This is not the inflection of a prior (though irretrievable) reality, as Barthes would have us believe, but the production of a new and specific reality, the photograph, which becomes meaningful in certain transactions and has real effects, but which cannot refer or be referred to a pre-photographic reality as to a truth. The photograph is not a magical 'emanation' but a material product of a material apparatus set to work in specific contexts, by specific forces, for more or less defined purposes. It requires, therefore, not an alchemy but a history, outside which the existential essence of photography is empty and cannot deliver what Barthes desires: the confirmation of an existence; the mark of a past presence; the repossession of his mother's body. We could go further. Even if we were confronted by the actual existent about whose (past) existence the photograph is supposed to assure us, we could not have the authentic encounter Barthes wants. We could not extract some existential absolute from the conscious and unconscious, cultural, psychological and perceptual codes and processes which constitute our experience of the world and make it meaningful - just as they invest meaning in a paltry piece of chemically discoloured paper. Neither experience nor reality can be separated from the languages, representations, psychological structures and practices in which they are articulated and which they disrupt. The trauma of Barthes's mother's death throws Barthes back on a sense of loss which produces in him a longing for a pre-linguistic certainty and unity - a nostalgic and regressive phantasy, transcending loss, on which he founds his idea of photographic realism: to make present what is absent or, more exactly, to make it retrospectively real - a poignant 'reality one can no longer touch'. What exceeds representation, however, cannot, by definition, be articulated. More than this, it is an effect of the production of the subject in and through representation to give rise to the phantasy of this something more. We have no choice but to work with the reality we have: the reality of the paper print, the material item. But what is also real is what makes the print more than paper - what makes it meaningful. For this, however, we must look not to some 'magic' of the medium, but to the conscious and unconscious processes, the practices and institutions through which the photograph can incite a phantasy, take on meaning, and exercise an effect. What is real is not just the material item but also the discursive system of which the image it bears is part. It is to the reality not of the past, but of present meanings and of changing discursive systems that we must therefore turn our attention. That a photograph can come to stand as evidence, for example, rests not on a natural or existential fact, but on a social, semiotic process, though this is not to suggest that evidential value is embedded in the print, in an abstract apparatus, or in a particular signifying strategy. It will be a central argument of this book that what Barthes calls 'evidential force' is a complex historical outcome and is exercised by photographs only within certain institutional practices and within particular historical relations, the investigation of which will take us far from an aesthetic or phenomenological context. The very idea of what constitutes evidence has a history - a history which has escaped Barthes, as it has so many labourist and social historians too. It is a history which implies definite techniques and procedures, concrete institutions, and specific social relations - that is, relations of power. It is into this more extensive field that we must insert the history of photographic evidence. The problem is historical, not existential. To conjure up something of what it involves today, I suggest in the text that you ask yourself, and not just rhetorically, under what conditions would a photograph of the Loch Ness Monster (of which there are many) be acceptable? 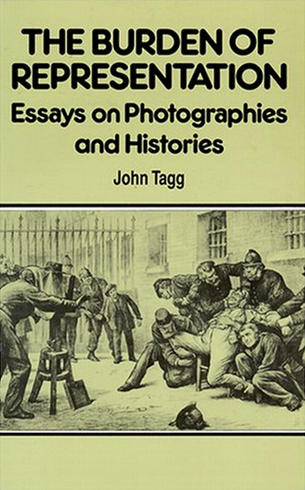 What I go on to argue is that the coupling of evidence and photography in the second half of the nineteenth century was bound up with the emergence of new institutions and new practices of observation and record-keeping: that is, those new techniques of representation and regulation which were so central to the restructuring of the local and national state in industrialised societies at that time and to the development of a network of disciplinary institutions - the police, prisons, asylums, hospitals, departments of public health, schools, and even the modern factory system itself. The new techniques of surveillance and record harboured by such institutions bore directly on the social body in new ways. They enabled, at a time of rapid social change and instability, an unprecedented extension and integration of social administration, amounting - even beforeAlphonse Bertillon's systematisation of criminal records in the 1880s - to a new strategy of governance. At the same time, the emergence and official recognition of instrumental photography was caught up with more general and dispersed transformations in society and in ways of thinking about it, representing it, and seeking to act on it. The development of new regulatory and disciplinary apparatuses was closely linked, throughout the nineteenth century, to the formation of new social and anthropological sciences - criminology, certainly, but also psychiatry, comparative anatomy, germ theory, sanitation, and so on - and the new kinds of professionalisms associated with them, which took both the body and its environment as their field, their domain of expertise, redefining the social as the object of their technical interventions. On a profound level, indeed, the two developments could not be separated, for, as Foucault's work has shown, the production of new knowledges released new effects of power, just as new forms of the exercise of power yielded new knowledges of the social body which was to be transformed. Power and meaning thus have a reciprocal relation described in the coupled concepts of the regime of power and the regime of sense. What characterised the regime in which photographic evidence emerged, therefore, was a complex administrative and discursive restructuring, turning on a social division between the power and privilege of producing and possessing and the burden of being meaning. In the context of this historical shift in power and sense, photographic documentation and evidence took form; not all at once, of course, for the photograph's status as evidence and record (like its status as Art) had to be produced and negotiated to be established.